I am not in Paris anymore (unfortunately), but I found this little piece of Paris in Rotterdam. Of course the building reminded me of the beautiful streets of the French city. I am only missing my baguette under my arm right? Now I am really curious what the building looks like from the inside, I know it’s a museum so I might visit in some day. Also, I am kind of obsessed with wearing sweaters under dresses, this dark denim one is an old one from NAKD, but I found it a couple days ago tucked in my dresser. I paired it with my high heel booties from Steve Madden and my comfortable new sweater from Loavies. 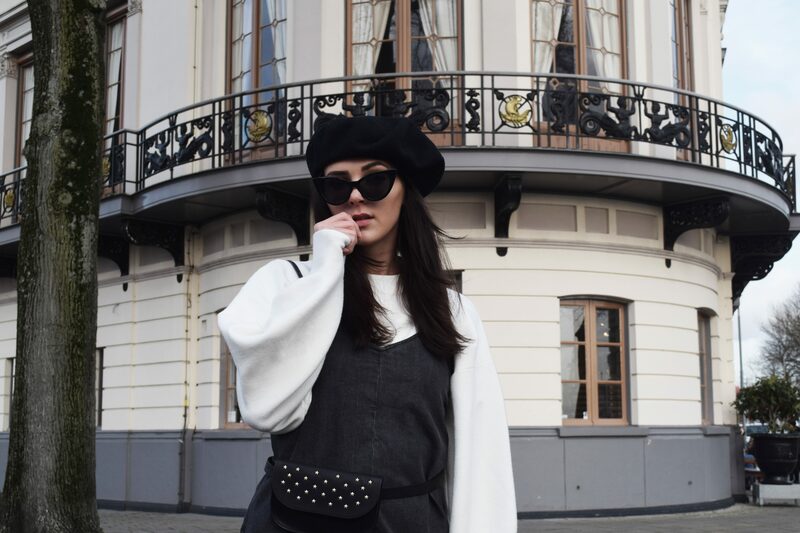 The baret is vintage and the sunnies are a steal from Ebay. Love je outfit babe! Heel mooi inderdaad, lijkt net Parijs! Leuke outfit! Ik krijg hier inderdaad ook zo’n Parijs-gevoel van. Mooie foto’s! Je outfit is zo leuk! Wat een mooi gebouw, lijkt inderdaad alsof het in Parijs staat. <3 Love it!